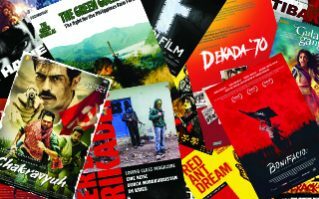 We relay here two international messages received on the occasion of the anniversary of the death of our Comrade Pierre, who come to us from the Maoist Communist Party (Italy) and the Communist Party of Nepal (Maoist Revolutionary). We wish you all warm greetings to keep the memory of comrade Pierre, great Marxist-Leninist-Maoist comrade, an example of tenacity and consistency in every day of his revolutionary life. A year after his death, the many messages of the revolutionary parties and organizations of all countries are still relevant. Comrade Pierre was one of the few Maoists who, in Europe, after forging himself in the French storm of May-June 1968 and the years that followed his participation in the Proletarian Left, held up the red flag of the revolution in France, while many were engulfed in the general ebb of the movement. He continued to be linked to the proletariat and the popular masses of his country but also to the other revolutionary forces which in other European countries were confronted with similar contradictions of the class struggle. Pierre went through the difficult 80s and 90s in France and in Europe in general, often alone or accompanied by some comrades by his side, but despite that, he never lost confidence in a red future, he founded the PCMF in the early 2000s in the heat of the class struggle and in close connection with the masses. We are more than ever close to the members of the PCM today. the PCMF led by comrade Pierre was the only party in France, with other Maoists comrades in Europe, alongside the proletariat and the masses of the French suburbs in revolt in 2005 and the following years, while the Trotskyists, the MLs and the false revolutionaries wavered and judged above the class struggle what unfolded before their eyes. With this revolutionary spirit, the PCMF led by Comrade Pierre struggled against reformism, the false communists and “cybermaoists” wanting only to publish proclamations on the Internet without ever getting their hands dirty in the class struggle. Comrade Pierre and his indefatigable comrades went to universities, fought against attacks on labor law and organized a militant anti-fascism. Comrade Pierre with his practice and his revolutionary line has trained the new generation of Maoist comrades who are now part of the PCM and who continue on this path. Comrade Pierre and his indefatigable companions were at the gates of Renault, in the streets of the suburbs, alongside the undocumented migrants who came from Italy after a hard fight led by our party finally managed to reach France. From the beginning, fighting again for their rights, in both countries, they found the Maoists to organize and fight their fair fight! These are facts and not slogans! All this is the incarnation of the construction of political parties in the heat of the class struggle and in close relationship with the masses. The PCMF led by Comrade Pierre was an excellent example of an internationalist party for all Maoists in Europe. Comrade Pierre has always supported the organization of the people’s wars and has become the promoter of support committees in his country. He was also one of the founders of the International Committee for Support of the People’s War in India, to which he contributed greatly creatively, participating in all his meetings until the last one last September, a few months before his death. The battle for unity in Europe between the existing communist parties and under construction, undermined today by right-wing opportunism but also by new subjectivist deviations, which attempts to overthrow Marxism-Leninism-Maoism and deprive it of its role of the working class to build its revolutionary party under the fire of the class struggle and in close contact with the masses. 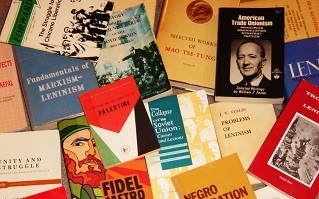 The battle for the affirmation of a real and practiced internationalism and not simply by propaganda for the people’s wars and in particular of the people’s war in India, we think in this respect that it is necessary to give the maximum support by giving new impetus to the existing committee by also developing self-criticism and unitary action among its promoters. We must also take advantage of the revolutionary experience of Pierre in the Maoist organization in which he took part in the 70s: the Proletarian Left, we believe that this experience should be even better explored in the service of party building in Europe, in the wake of this path traced in part by the class struggle in our countries, it is possible to continue the path of the Revolution without applying easy subjective and mechanical recipes. Comrade Pierre is alive and fighting with us! Long live the PCM founded by Comrade Pierre! Onward with the construction of political parties in Europe in the heat of the class struggle and in close relationship with the masses! Let’s develop proletarian internationalism from the heart of the European imperialist countries to support the ongoing people’s wars! 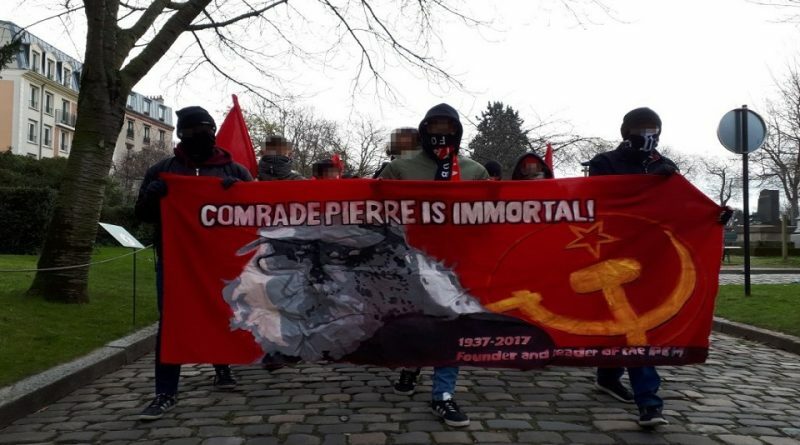 Comrade Pierre was a sincere communist who devoted his life to revolution in France and to the cause of the world revolution led by the proletariat. He has always stood on the side of the revolutionaries during the storms of line fighting against opportunists and revisionists at home and abroad. We believe that the real tribute to Comrade Pierre will be to fulfill the tasks for which he fought during his lifetime. The people’s war in Nepal has faced serious setbacks in the face of the collusion of reactionaries and traitors, capitulationists and neo-revisionist elements of the party. Nevertheless, our party is continuing to do the work of revolution that we had long set for ourselves. We are working hard to seriously prepare the New Democracy revolution in Nepal. On this occasion, our party calls on all authentic Maoist parties and organizations in the world to reach a point of common understanding in order to forge their unity on the basis of the Marxist-Leninist-Maoism scientific ideology. It will be a real tribute to Comrade Pierre if we can fulfill this task.